The aftermath of a fire is devastating for your family and your home. It is not something that most of us are ever prepared to handle, and that is why it is important to contact a professional team of experts to assist with the damage. At SERVPRO® of Springfield, our caring team of professionals will always treat your family with respect and empathy and we will always handle your home and belongings with the utmost care. We have the knowledge and training to get your family through this trying time. We will work diligently to clean and restore your fire and water damaged home and belongings after a fire. 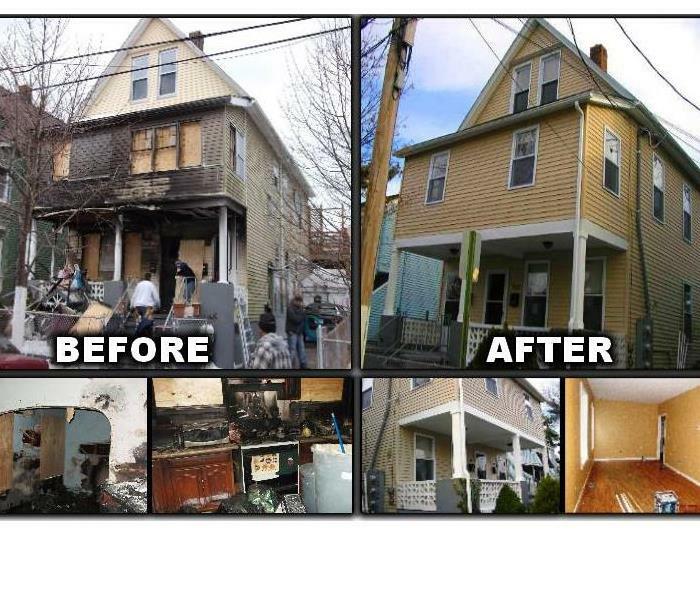 Our goal is to help restore your home to pre-fire condition and "Like it never even happened." Why Choose SERVPRO of Springfield and Sangamon, Morgan, Cass, Macoupin, Montgomery Counties? As a locally owned and operated business, SERVPRO of Springfield and Sangamon, Morgan, Cass, Macoupin, Montgomery Counties is strategically located to respond quickly to your smoke or fire damage event. When a major fire or disaster event occurs, we can call upon our national network of 1,700 SERVPRO Franchises and special Disaster Recovery Teams if we need additional resources or personnel. We proudly serve Springfield, IL, and surrounding areas.